PT Garuda Maintenance Facility (GMF) AeroAsia, a subsidiary of PT Garuda Indonesia, will develop a maintenance, repair and overhaul (MRO) facility for planes on Batam Island, Riau Islands, in cooperation with partners from Japan and the Netherlands. Starting out in 1949, GMF AeroAsia originated as the Technical Division of Garuda Indonesia Airlines at the Kemayoran and Halim Perdanakusuma airports in Jakarta, Indonesia. In 1984, GMF AeroAsia was relocated to Soekarno-Hatta International Airport and rebranded itself as Subsequently in 1998, the M & E Division transformed into the Strategic Business Unit (SBU-GMF), handling all Garuda Indonesia’s fleet maintenance activities, thus honing its competitive edge. Eventually in 2002 SBU-GMF was spun off from Garuda Indonesia, and officially became an independent entity under the name of PT Garuda Maintenance Facility Aero Asia. The project by the Indonesian government owned Aircraft maintenance company will cost US$41 million. The MRO facility is to be developed near the Hang Nadim Airport in Batam, said GMF AeroAsia president director Juliandra Nurtjahjo in Batam on Monday. Initially, the facility was to be developed on Bintan Island, also in the province. 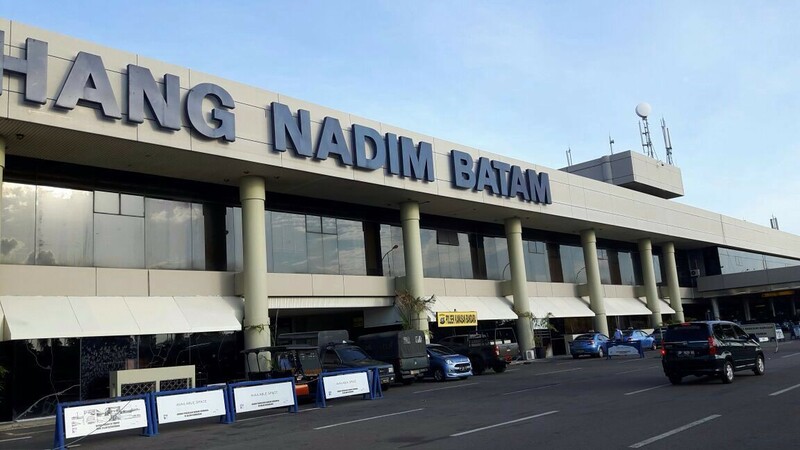 Hang Nadim International Airport (IATA: BTH, ICAO: WIDD), also known as Bandara Internasional Hang Nadim, is located in Batam, Riau Islands, Indonesia. The MRO facility is to be developed near Hang Nadim Airport, said GMF AeroAsia president director Juliandra Nurtjahjo in Batam. “We moved the MRO facility to Batam after a final review. The readiness of the infrastructure owned by Hang Nadim Airport was taken into consideration,” Juliandra said. Apart from developing the MRO facility in Batam, GMF AeroAsia will also develop a logistics warehouse to store spare parts needed for the operation of the facility. The 25,000 square meter project will occupy a five-hectare plot of land. The ground breaking ceremony will be held late this year and the project is expected to be completed in 2018. The bold investment however still on waiting to be finalized. Just like any state owned company belong to Indonesia, things often easier said than done. The GMF AeroAsia is now rightly considered as the best and biggest aircraft maintenance companies in the region, providing the excellence of integrated solutions for all customers around the world. “Our target market is to repair planes for international flights. Therefore, we have partnered with companies from Holland and Japan to operate the MRO facility,” he said, adding that domestic flights would be handled by an MRO facility at Soekarno-Hatta International Airport in Tangerang, Banten. “Batam’s location, which is close to Singapore, could be a hub for Asian aviation,” Juliandra added. Aerospace maintenance facility in Batam worth $41m will be built by GMF AeroAsia. On separate note, GMF AeroAsia was inked a deal on Tuesday with Switzerland-based aircraft services provider SR Technics to develop its aircraft component business and improve services. Under the deal, the subsidiary of national flag carrier Garuda Indonesia, which offers maintenance, repair and overhaul (MRO) services, will get support from the Swiss company in providing B737NG aircraft components to GMF AeroAsia’s customers. The agreement is worth US$45 million. ‘The contract duration will be five years. It’ll amount to $9 million yearly. We will provide pooling of components for Boeing 737,’ GMF AeroAsia president director Richard Budihadianto said on Tuesday after forging the agreement at the Singapore Airshow. In addition, GMF AeroAsia signed a $2.5 million deal with Malaysian airline Eagle Express to extend a contract on aircraft maintenance that was scheduled to expire this year.The two companies have been partners since 2012, with the current contract covering Eagle’s Airbus A330 and Boeing 747 aircraft. This recent updates however sounds bitter as the Corruption Eradication Commission (KPK) has named a former president director of state-owned airline company Garuda Indonesia, Emirsyah Satar, a suspect in a case of alleged bribery related to the purchase of aircraft engines from the UK company, Rolls Royce. Next articleWill Indonesia’s first private airport to open in Bintan?